With an increasing awareness of newly detected but unregulated pollutants in waterbodies, the question arises as to how these emerging issues concerning water quality should be politically addressed. Environmental economists have advocated market-based instruments because of their effectiveness, cost-efficiency, and flexibility. However, lessons from past experiences where market forces were used to solve public problems indicate that issues related to administrative complexities, legitimacy, or uncertainty can arise. 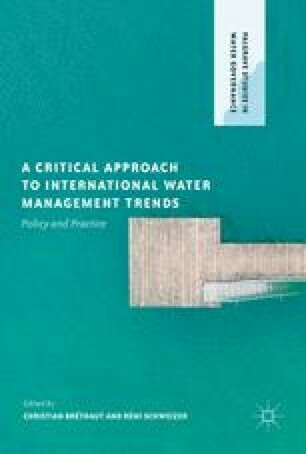 Turning the academic debate into an empirical one, this chapter takes an actor perspective and assesses the potential for introducing market-based instruments through the example of Switzerland, a forerunner in developing water policy to control emerging pollutants. Findings show that Swiss policy actors have a preference for command-and-control or voluntary instruments ahead of market-based approaches for reducing emerging pollutants in water.